More of these, please! Baby Calvin's parents invited me to their house to take beautiful and organic in Home Lifestyle Newborn photos of their son. 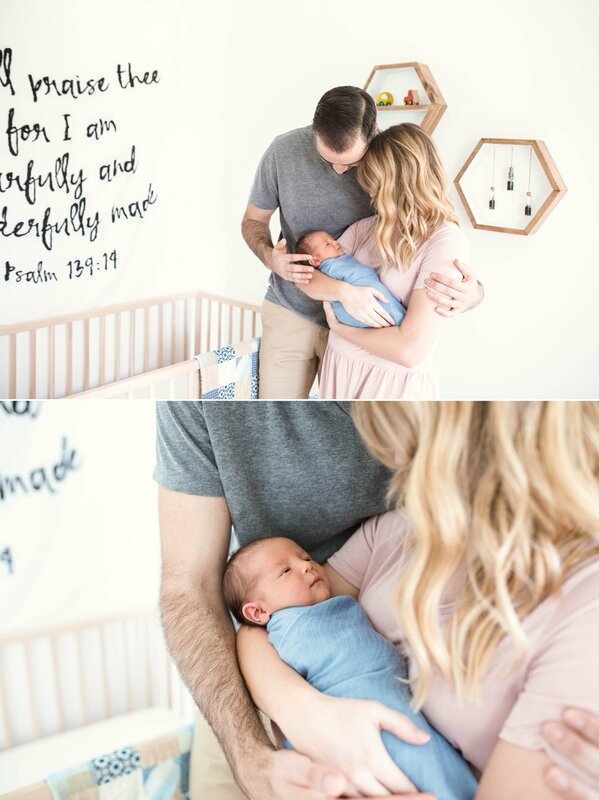 They did such an amazing job on the nursery, and are so in love with the little guy. Plus, they are literally the sweetest people! I had so much fun hanging out of them and capturing them in their natural space. These sessions are so special because they are unposed, natural plus you get to show off that amazing nursery you put so much time designing! I can't wait to shoot more of these - my baby fever is thru the roof yall! Are you expecting? Contact me!